One-man bands have come a long way since 1941, when Sidney Bechet recorded “The Sheik of Araby.” Playing clarinet, soprano and tenor saxophones, piano, bass and drums, Bechet and the RCA engineers laboriously added an instrument in each of a succession of takes until the band was all present and accounted for on one master 78 rpm disc. Today’s digital electronics simplify the process and expand the possibilities, but one thing has not changed since Bechet’s painstaking featthe need for virtuosity by the performer and the recording engineer. For the first six tracks in Both/And, Zeitlin fills both roles. He records on acoustic and electric pianos and creates synthesizer sounds that are uncannily like those of brass, reed, string and rhythm instruments and a choir. In the five sections of the kaleidoscopic “Monk-y Business Revisited,” he shares producing and recording credit with electronic music pioneer Patrick Gleeson. Zeitlin, a psychiatrist, made his first major impact when he was a medical student. As the pianist on Jeremy Steig’s Flute Fever, his playing, in particular his solo on “Oleo,” came in for enthusiastic critical notice. Flute Fever has never been reissued on CD. He followed with four trio albums for Columbia that established him as one of the leading young pianists in jazz. Some of Zeitlin’s music from his first electronic period is on Expansion, an album that he recorded and released on his own after record companies turned it down, even as his trio records continued to sell. 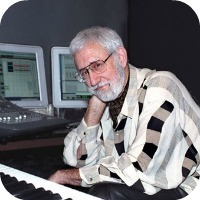 There is more of his electronic work in the soundtrack he composed for the 1978 remake of the science fiction movie Invasion of the Body Snatchers. His work in the film brought praise from critics including Paulene Kael of The New Yorker, who wrote, “…dazzling score…the music is a large contributor to the jokes and terrors.” Zeitlin’s demanding involvement with the movie drained him of desire to do further motion picture writing and performing. Through the ‘80s, ‘90s and into the new century he has concentrated largely on acoustic piano while maintaining his day gigs; psychiatric practice and university teaching. He has chronicled his work on the Steinway in several recent releases on Sunnyside Records. Zeitlin’s Steinway is prominent in a ballad, “Kathryn’s Song,” interacting with a string orchestra in “Dystopian Uprising” and in “Monk-y Business Revisited.” If only real string sections could achieve the phrasing and swing feeling that Zeitlin gives the “strings” in the “Into The Funk” section of “Monk-y Business.” It’s an orchestra of Harry Lookofskys. As for percussion, if I didn’t know that this project is essentially a one-man operation, I would suspect Zeitlin and Gleeson of editing a live drummer and a trap set into the final mix. I was very glad that you cited Sydney Bechet overdubbing of some but not all of Bechet instruments(listen to Bechet with Armstrong in the twenties for another instrument). The article and videos are fascinating. I enjoy and appreciate your contributions.